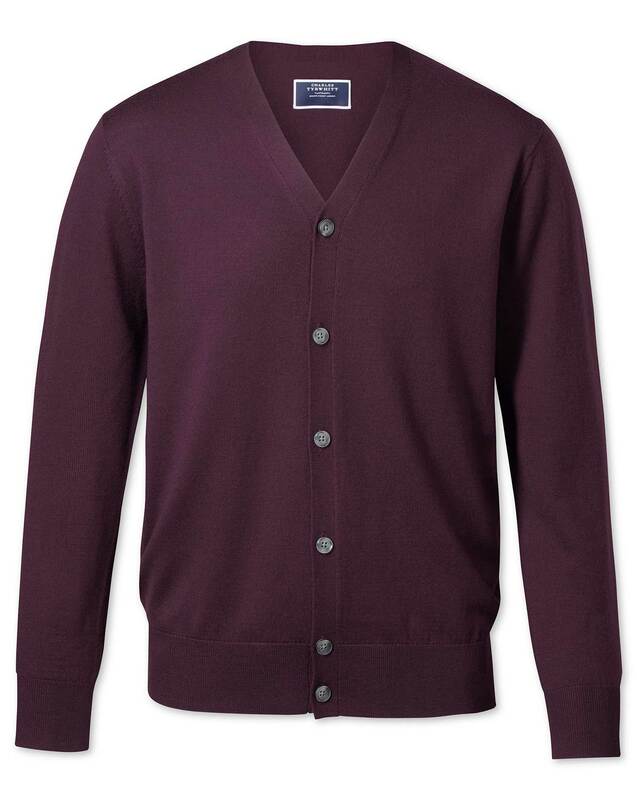 "The button cardigan is trans-generational: it’s the ultimate grandad staple and looks uncannily groovy on youngsters (can you tell where I fit in those two groups?). For all of those in between: this style is knitted from merino wool to a neater, sharper silhouette with a higher buttoning. Definitely not your grandad cardie." "100% merino wool cardigans, with an improved fit to a more modern silhouette – ideal for layering or wearing as a top layer." Medium size is too big. Have to exchange for small. Response from Charles Tyrwhitt: It's always a shame when something doesn't quite fit as hoped, but the good news is that returning items to us here at CT is a very simple and quick process! Just log your return online - www.ctshirts.com/rebound and we will ensure your exchange is processed as swiftly as possible! School colors what is better than that?